A protein shake is a product of dissolving protein powder in some kind of liquid like water, milk or fruit juice and are mostly preferred by dieters (low carbers) as well as bodybuilders. These shakes are said to be low carb since they contain only small amounts of carbohydrates and fats. Some shakes show zero carbs as well as zero fats. Here, protein is a replacement for carbohydrates. Since, �low carbers� need the energy and the strength, protein is a good source. Generally, protein shakes are made up of only a small of calories (121), fat (3%), cholesterol (17%), sodium (3%), potassium (4%), carbohydrates (<1%), sugars and a large portion of protein (50%). These percent values are based on a 2000-calorie diet. Can protein shakes help someone lose weight? Many manufacturers of popular protein shakes advertise their shakes as a helpful, positive way of burning fat. In reality, there is still no evidence that their claim is true. Most protein shake mixes source their protein from soy, while others use a dairy or an egg base. Yes soy proteins can reduce cholesterol, but at some point, as it reduces cholesterol, the isoflavones it contains, may increase the risk of certain heart disease. Not all protein shakes are produced from soy, some are made of whey, which in the past few years, has been found to be more beneficial than soy. Protein shakes are easy to prepare. All you have to do is put a scoop of protein powder in a cup, pour in water, milk, or fruit juice, then mix it with a spoon for about 20 seconds, and presto! You can enjoy a nice protein shake! However, some prefer shaken rather than stirred. Meaning, we need a blender for that smooth frothy finish! Sometimes, using protein powders is way more convenient than eating regular foods. Normally, you can take it 1 to 2 times a day. They are just supplements and not medicines. However, the best time of the day you can have a shake is early in the morning. It is a fast digesting protein, thus having it after eight hours of sleep is a good idea. Another time when you can have your shake is immediately after workouts. This would be best time to have a shake, since your worn muscles need to repair and rebuild. 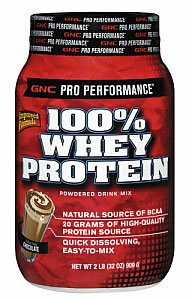 Protein powder is a dietary supplement. If taken everyday, it can boost your energy levels and at the same time help burn fat. It supplies adequate amounts of protein in the body. If you lack some protein in your body or if you are a bodybuilder wanting to get in shape fast, you can try it. Nutritionists say that a healthy intake of protein everyday, especially early in the morning, can help make blood sugar levels stable all throughout the day. It has also been investigated that daily consumption of protein powder can boost one�s immune system as it assists in wound restoration, improves recovery, promotes lean muscle development as it fosters muscle strength. Furthermore, it was also proven to promote a healthy skin and enhance fat loss. There are four chief sources of protein powders. They can either be sourced from whey, egg, soy or rice. However, those obtained from whey or milk is the most popular and proven to be the most effective. These protein powders came from pure protein sources manufactured into powder. The processed powder is then dissolved in water to form a protein shake. Protein powders also come in different flavors, ranging from vanilla and chocolate to strawberry and rocky road. Are protein powders safe to use? Yes, they supply proteins to the body, but how can you tell if it�s safe? Protein powders usually serve 30-50% of proteins, whereas a normal adult only needs 15%. In medicine, that�s overdose! However, suggested daily requirement would be based on the age, weight and how intense a person�s activity is. Studies have shown that excess in protein would not be healthy particularly for people who are suffering from kidney problems, as excess proteins are broken down by kidneys. If you don�t have kidney problems, and you�re interested in using protein powders, you should first consult your nutritionist.